This month we revisit some of the gorgeous pieces in our QA Contest Quilt archives, all made by groups. Since 2007, our annual contests have been open to both individuals and groups. 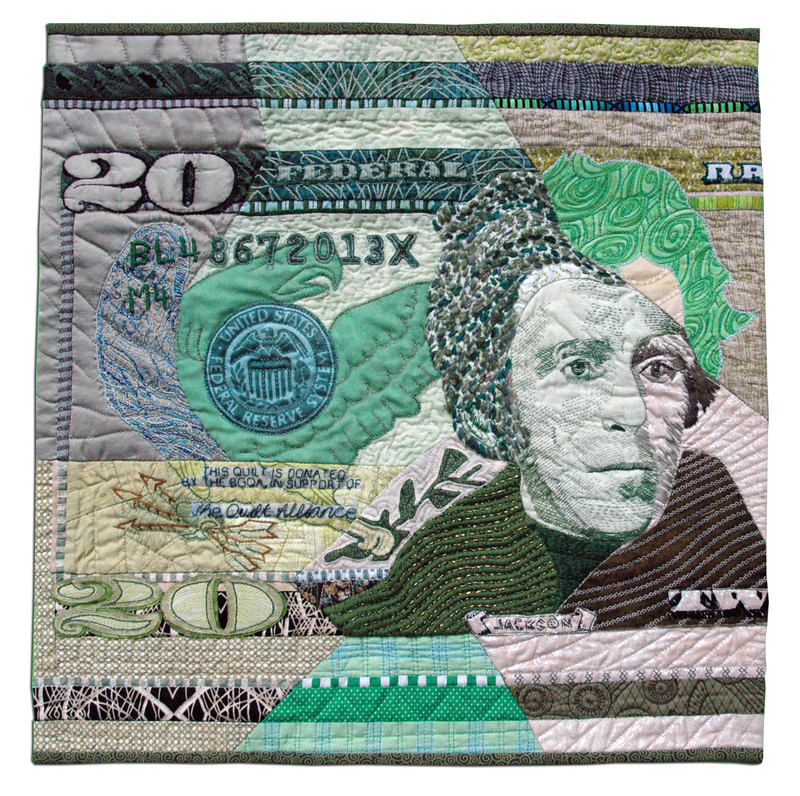 Often these collaborative quilts break new ground for the artists-trying new techniques, or working with a specific team approach where the quilt is sectioned and divvied up amongst collaborators. Sometimes the collaboration echoes the artists’ relationship or marks a special moment in time. We are so grateful to have received support from these artists and to have documented their work. 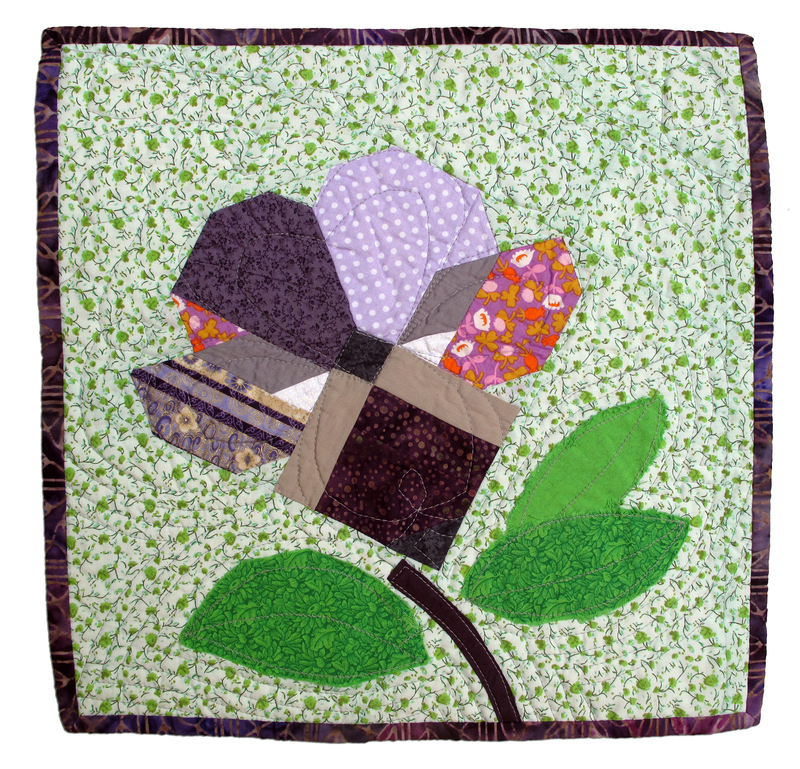 You’ll see three quilts by the Broadway Gentlemen’s Quilting Auxiliary. 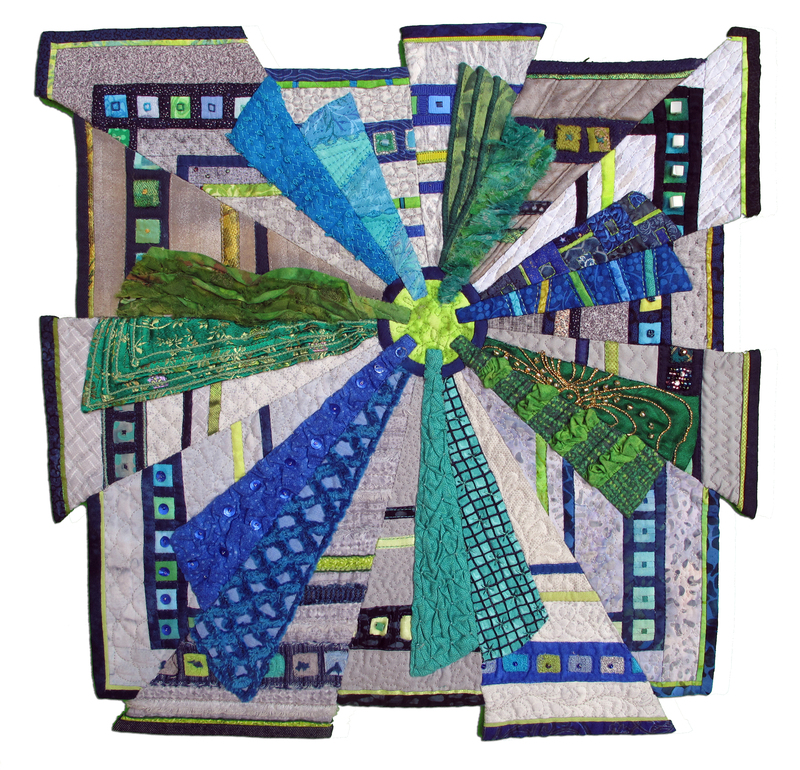 This group of talented quilters all share a connection–they have at one time worked on Broadway, as actors, dressers or other creative or supportive roles. 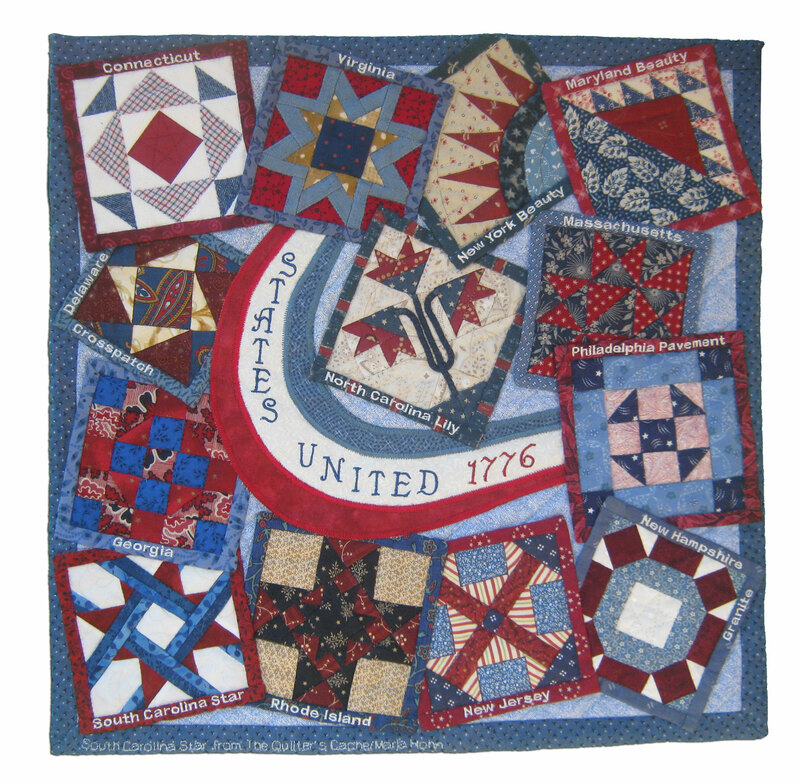 Their approach differs in each of the quilts, each showing great care to create unified design without compromising individual group member contributions. 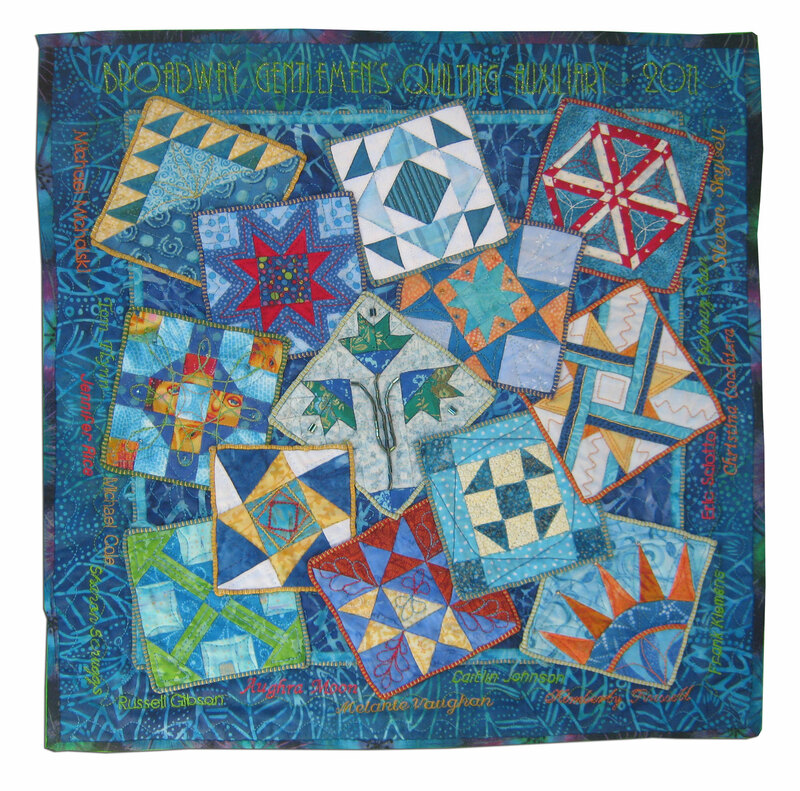 Another team effort made for the TWENTY contest, “Second Triangulation,” showcases leftover pieces of the group quilt, “Triangulations,” exhibited at the International Quilt Association’s “World of Beauty” show at the International Quilt Festival in Houston, Texas in 2013. Inventive repurposing! 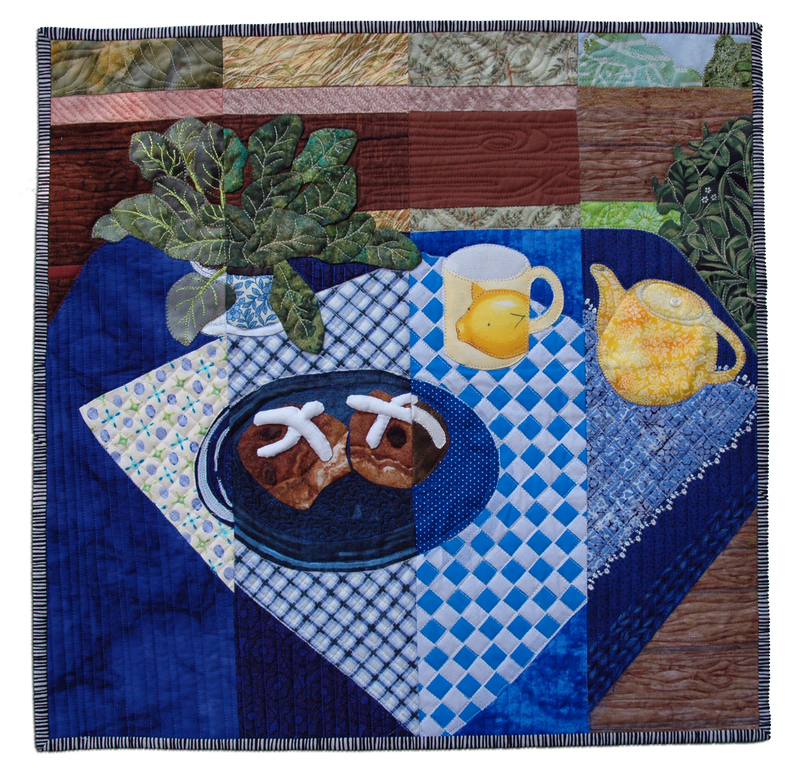 Some group quilts featured here are a collaboration of two, sometimes a familial team and sometimes artistic colleagues. 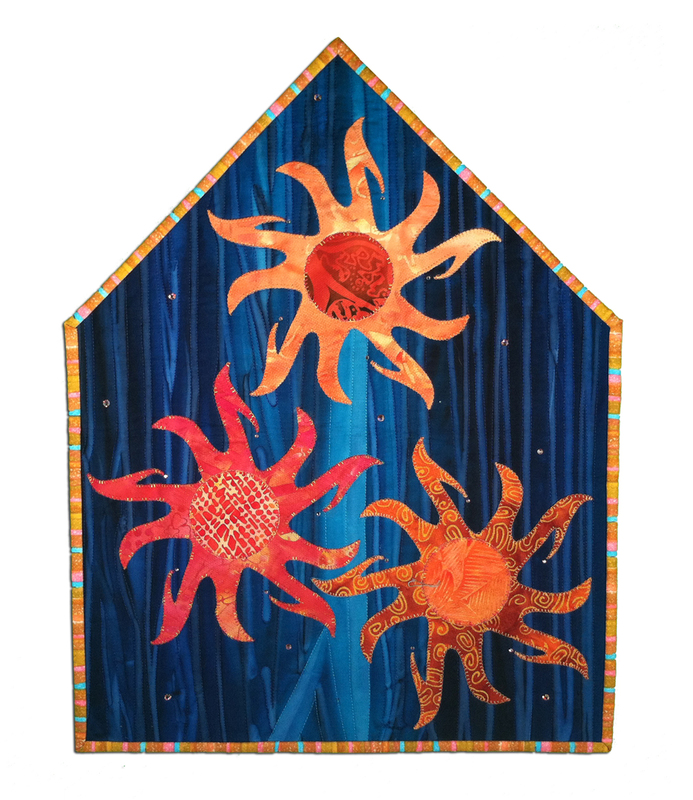 Esther Muh created a quilt with her daughter Elizabeth for the Inspired By contest in 2014, and Mary Pumphrey worked with her daughter Lorna on their entry for the 2012 Home Is Where the Quilt Is contest. Mary Kay Davis enlisted her son Clayton Alexander to submit a quilt for the Home contest. 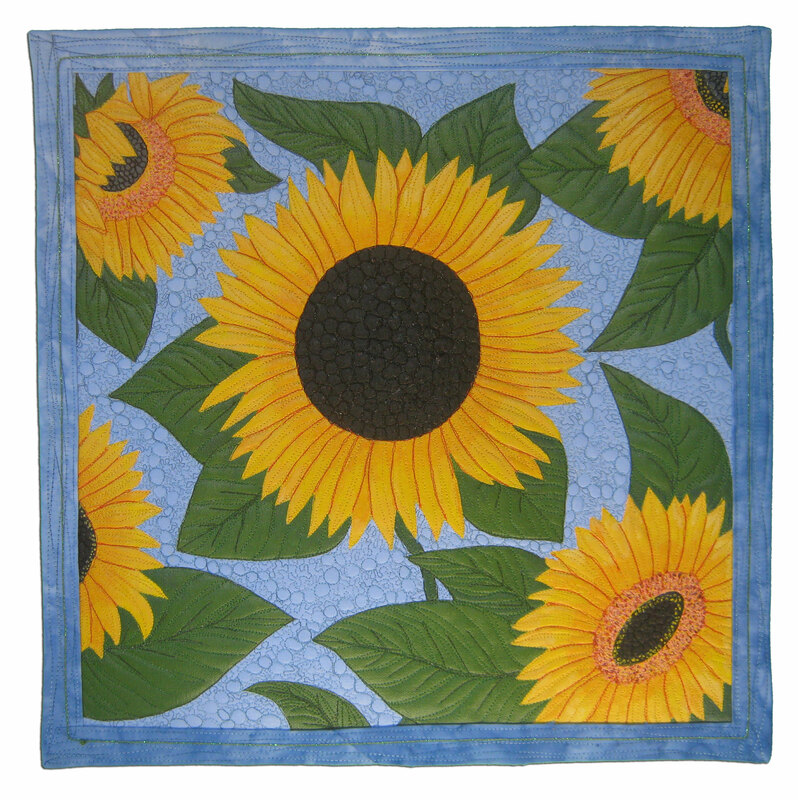 Quilt Alliance Treasurer Lisa Ellis allied with her husband Mike to create a beautiful “Sunflowers” quilt for the 2011 Alliances contest. 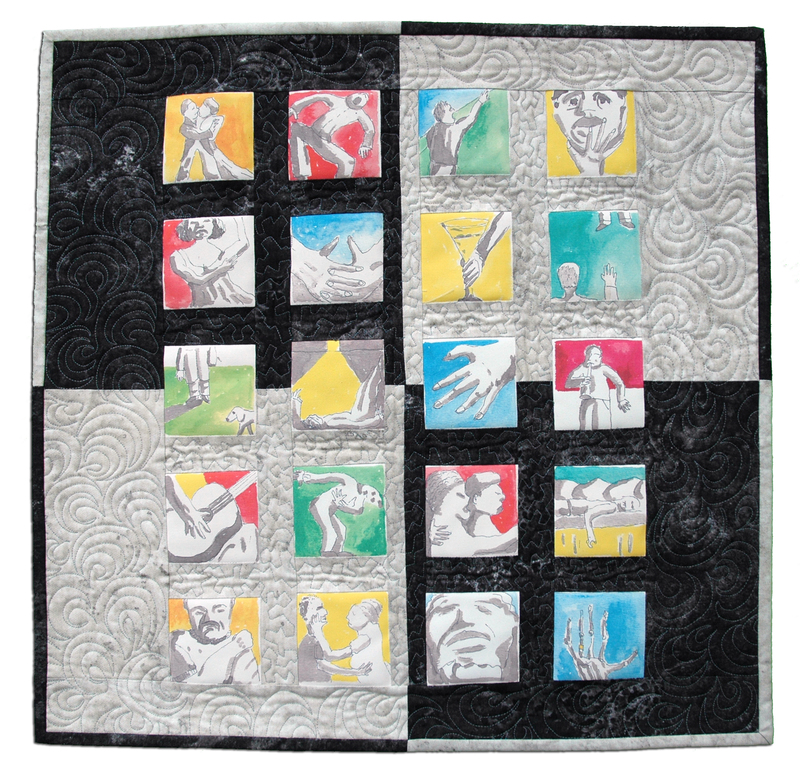 Longtime Quilt Alliance member and volunteer Alice Helms made the quilt “Show of Hands” with her husband Arthur, “to put together two art forms – drawing and quilting. 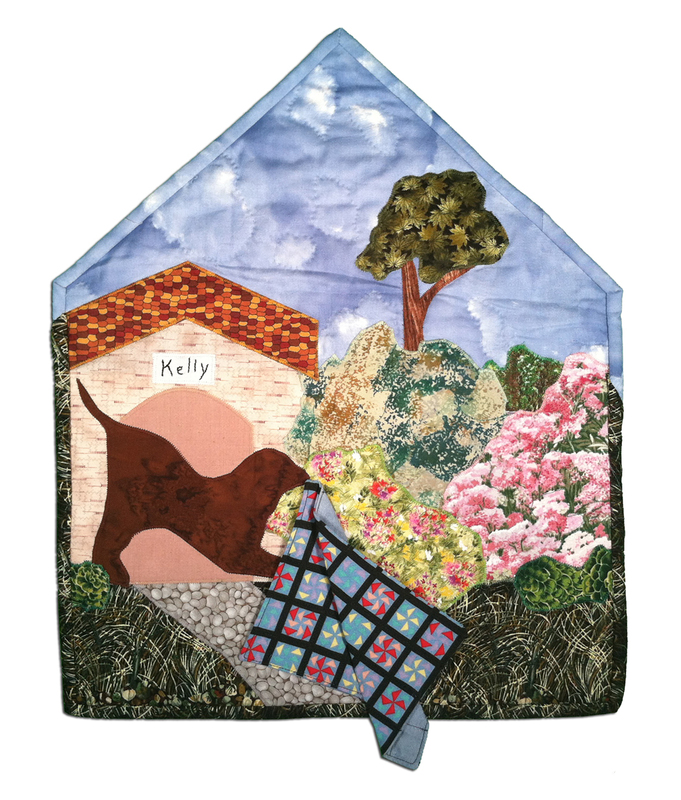 The twenty cartoon-like panels are integrated into a traditional quilt block layout and the drawings suggest the prominence of hands in all endeavors.” Syrie Blanco Walsh painted and Maria Ferri Cousins quilted their collaborative entry for the Animals We Love contest in 2015. 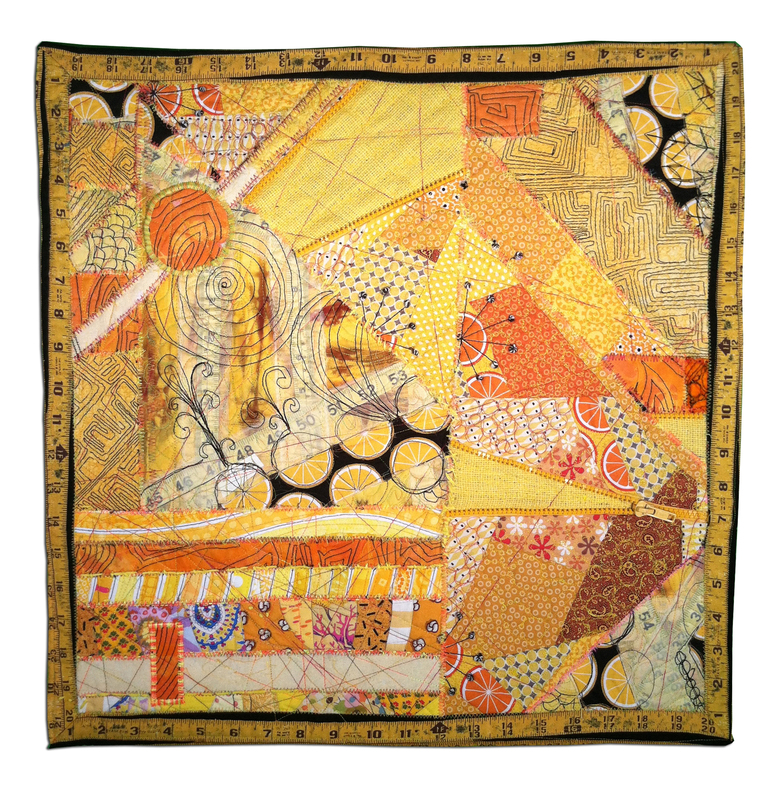 Since quilts are historically a collaborative effort, it’s fascinating to see how group quilting evolves. 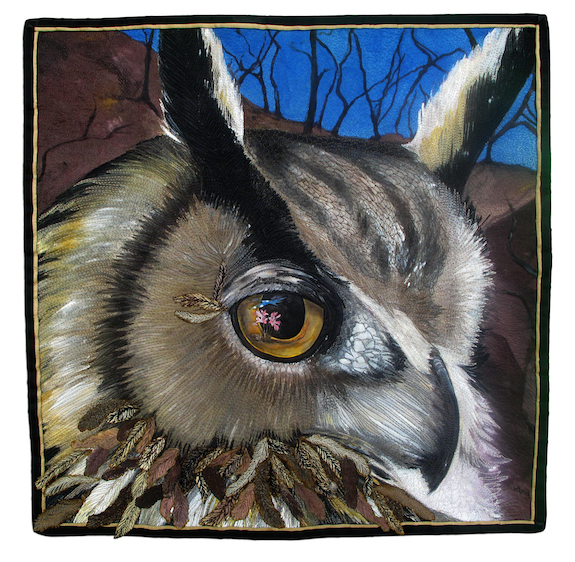 Enjoy this gallery from the QA Contest Quilt Archives.